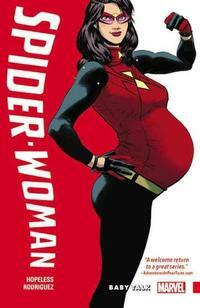 I don’t know why I’m obsessed with this Spider-Woman short-lived story arc by Dennis Hopeless—maybe it’s because she’s fighting villains while 9 months pregnant, maybe it’s because she goes into labor while fighting aliens, or maybe it’s because in the final pages of the first trade paperback she goes into detail about her choice to be a single mother? Either way, she is just a total badass and frankly one super cool mom. Bonus points in Volume 2 for getting a "manny" (or male nanny, if you will) in the form of former villain The Porcupine. Super extra bonus points for having Captain Marvel and She-Hulk as best buddies! 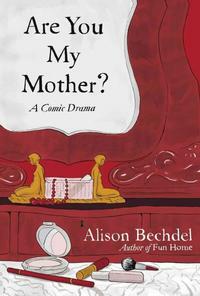 Maybe you are super familiar with Fun Home, Bechdel’s darkly comic take on her father’s influence on her family and her life, but what do you know about Bechdel’s mom? I know what you are thinking – how would this fit here, this isn’t a traditional warm and fuzzy mother/daughter relationship. In the nonlinear, philosophical exploration that is Are You My Mother?, Bechdel explores their sometimes distant relationship but ultimately credits her mother’s support—both financial and her honesty—with giving Bechdel the space and time to pursue her art life. Basically, her mother sacrificed so that Bechdel wouldn’t fall into the same traps and limitations that she faced. I mean, that’s the very definition of a badass mom. Alana has wings. She’s married to Marco, who has horns. They are not supposed to be together; their races have been at war with each other for millennia. 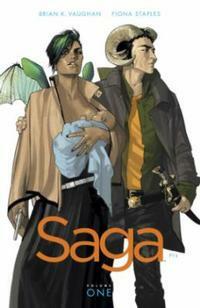 But they fell in love and in the opening pages of Volume One of Saga, a space opera if ever there was one, she’s giving birth to their first child while the armies of both their people have them cornered. If that was all, that would be pretty badass, but it doesn’t end there. Basically, Alana is on the run with her baby and husband across the universe and she’ll do whatever it takes to protect and take care of them: Ghost babysitter – Check. Taking his parents on board their ship even though they don’t like you so much – Check. Starring in a super weird intergalactic soap opera for money even though that’s not your thing – Sure! She's literally willing to kill to protect her family. That's some interstellar badassery if you ask me. There are tons of other badass moms out there in books and comics and tv shows and that can be found in our catalog, so if you are looking for a maternal role model this Mother’s Day, I say feel free to be inspired by one of them. And if you are lucky enough to still have your mom in your life you better call her right now and say hi. Have other go-to badass mom figures? Let me know in the comments! 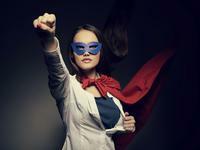 Look, up in the sky—it's Super Mom! The comic series Copperhead is about a badass mom who is an interplanetary sheriff. Find it at your library!